I love this picture. My husband made sketches of our children when they were young and they somehow convey much more of their personality than do photographs. I can almost hear this little girl breathe. 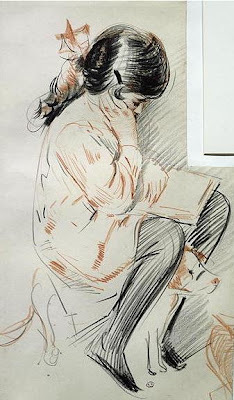 This sketch reminds me of my daughter Joy when she was young. I become the girl when i watch this. Yes, as Monix said, you can almost hear the girl breathe.